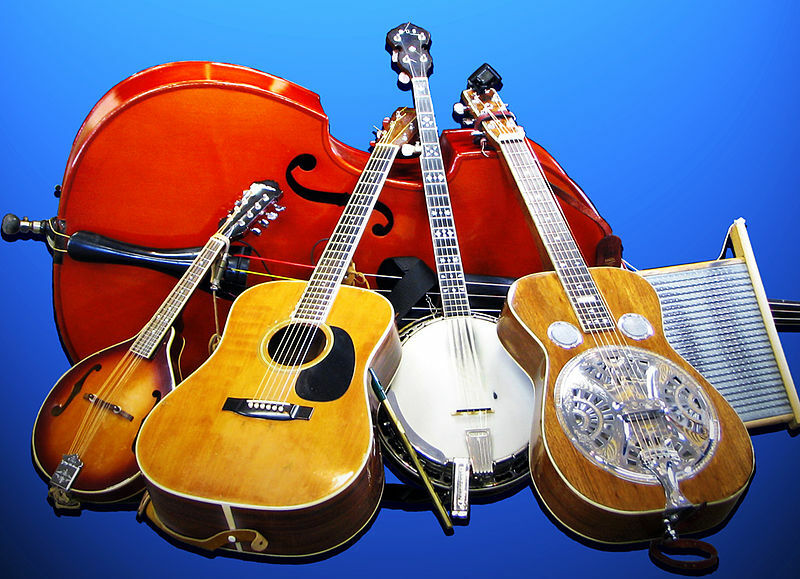 Find Great Deals on Bluegrass Concert Tickets at buyTickets.com! Do you love bluegrass and gospel music? Find tickets and tour schedules for all your favorite bluegrass artists and festivals at buyTickets.com. From the legendary Telluride Bluegrass Festival to local gigs across the country, buyTickets.com has it all. Check out the bluegrass concert schedule below, find events in your area, and then click the yellow Buy Tickets button to pick your perfect tickets and check out. It’s that easy! What’s even better, you can use the promo code CONCERTS to get an extra discount taken off the total price of your order! With its roots in the folk music of Irish, Scottish, and English immigrants of the American South, bluegrass’s heritage can be traced as far back as that of the United States itself. Until the advent of recorded music and radio in the early 20th Century, bluegrass was rarely heard outside of remote Appalachia and the surrounding hills. Starting in the 1920s and 1930, bluegrass acts like the Monroe Brothers began to become popular on the touring circuit and at venues likes the Grand Ole Opry in Nashville. Once it started to become a part of the broader musical culture of the South, bluegrass started to take on elements of gospel, country, blues, and other American genres. The “classical bluegrass sound” that most modern listeners are familiar with dates to about 1945, when Earl Scruggs joined the Monroes’ Blue Grass Boys band. Scruggs was an unparalleled innovator of the bluegrass banjo. Later, in the 1960, bluegrass festivals became popular. Artists like John Hartford, Bela Fleck, and even the Grateful Dead each left their own marks on the history of the genre. Bluegrass experienced a surge in popularity after the release of the film, O Brother, Where Art Thou? which featured a Grammy-winning soundtrack of bluegrass standards. Contemporary artists like the Punch Brothers are keeping bluegrass alive for future generations to come. Is Bluegrass the Same as Country Music? It’s best to think of bluegrass as a traditional subgenre of country music. Mainstream country often incorporates more elements of rock and roll and other genres, whereas bluegrass is more traditional and focuses on acoustic instruments like the banjo, standup bass, fiddle, and lap steel guitar. If you’re heading to a bluegrass concert, don’t be surprised if you hear one of these classic songs, many of which have achieved the status of American roots music classics: "I Wish My Baby Was Born," “Foggy Mountain Breakdown,” “Uncle Pen,” “Turkey in the Straw,” “Rank Stranger,” “Will the Circle Be Unbroken,” “Your Love is Like a Flower,” “Blue Mountain Hop,” “Bluegrass Ramble,” “Po’ Lazarus,” “Big Rock Candy Mountain,” "Didn't Leave Nobody but the Baby,” and many more.